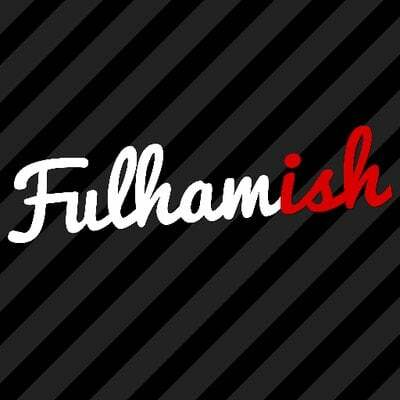 The Fulham Supporters’ Trust have sent their warmest congratulations to the Fulhamish podcast after the boys received a Football Supporters’ Federation nomination for best club podcast of the year at the forthcoming FSF Awards. The Fulhamish podcast, only launched last season, has been nominated alongside such national contenders as Liverpool’s The Anfield Wrap, Arsenal’s Arsecast, Blue Moon from Manchester City, the Amber Nectar of Hull City and From the Rookery End put together by supporters of Watford. A specially-convened FSF panel will meet to pick the winner, who will be announced at the FSF Awards evening on Monday 4 December at the Tower of London. The podcast, put together each week by a team that includes KISS FM’s Sammy James, resident Irish expert Jack Collins, tactical guru Ben Jarman and awayday supremo Dom Betts has built up its own cult following on a Monday night. The team’s latest episode disected the fallout following Fulham stats man Craig Klein’s well-publicised departure and a disappointing defeat at Wolves on Friday night. Fulham Supporters’ Trust communications director Dan Crawford said: ‘To be nominated in the FSF awards among such stellar company after a little more than a season of output shows that the boys behind Fulhamish had as a big as breakthrough year as Ryan Sessegnon. Their brand of humour, debate, tactical analysis and insight has quickly developed a cult following – even if I can’t say I agree with many of Jack Collins’ hot takes’. The Trust wishes the Fulhamish boys well for December’s awards evening and let’s home they can break that Fulhamish tradition and bring home a big prize’.